At Valleybrook you can enjoy the space and freedom of luxury self-catering accommodation and indulge in the dream of having your very own Cornish getaway, with all of life's little luxuries and everyday conveniences at your fingertips. We have eight properties available, just click on the links for our prices and availability. 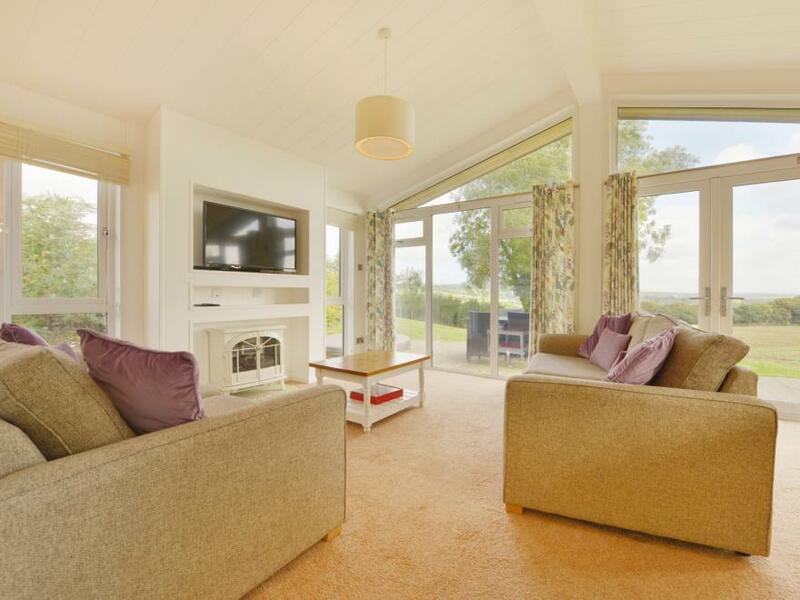 1 Horizon View is a high-quality lodge situated in the village of Dobwalls in Cornwall. 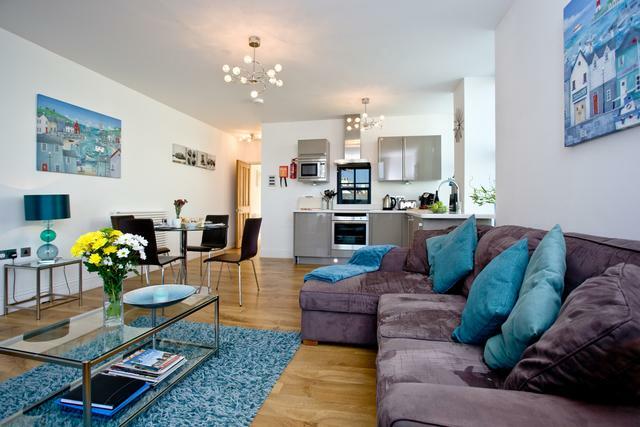 It plays host to one bedroom, home to a double bed, a freestanding bath and an en-suite shower room. The interior also comes set with an open-plan living area, made up of a kitchen, a dining area and a sitting area with an electric fire. To the outside, discover off-road parking for one car along with a decking with furniture and a hot tub. 1 Horizon View is an exquisite retreat, perfect for couples seeking an escape throughout the wonders of Cornwall. 1 Miller's Island is a lodge situated in Lanreath, Cornwall. It rests on the bank of a lake set within 28 acres of picturesque Cornish countryside. The property is located on the ground floor, and has two bedrooms, one king-size with an en-suite shower room and WC, and one twin. There is a separate family bathroom and WC. 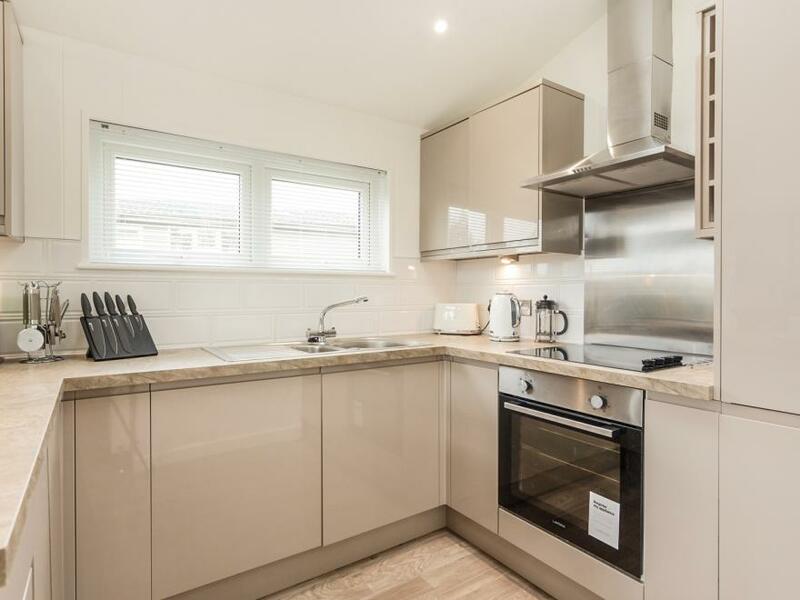 There is an open-plan living room, fitted kitchen and dining area. Outside has a decking area with furniture provided and a hot tub. Off-road parking is available for one car. 1 Miller's Island is an excellent lodge for those family breaks. 1 Stonerush Valley is a ground floor lodge located in Lanreath, Cornwall. There are two bedrooms, one king-size bedroom with an en-suite shower room and WC, and one twin bedroom with a separate family bathroom and WC. Inside has an open-plan living room, fitted kitchen and dining area, with large French doors that lead out to the terrace. Externally, the property has a wrap-around decking area with a table and chairs, as well as a hot tub. Off road parking is available for one car. 1 Stonerush Valley is the ultimate holiday destination. 1 Streamside is a beautifully finished luxury lodge set on the wonderfully secluded Stonerush Lakes lodges. 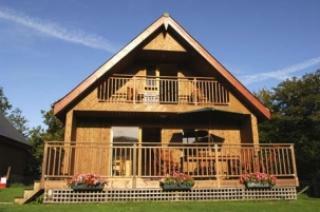 If you are looking for some time away from the stresses of everyday life, this lodge will provide the perfect setting. Inside, this cosy and warm lodge is filled with the highest quality fixtures and fittings, giving its guests a truly relaxing home from home feeling. The open plan living, kitchen and dining area becomes flooded with natural daylight and is the ideal space for enjoying a family meal or watching a good film. The bedrooms have the most comfortable beds and will fully ensure a peaceful night’s sleep when staying at 1 Streamside. The floor to ceiling windows really make the most of the beautiful natural surroundings and bring the outdoors, indoors. 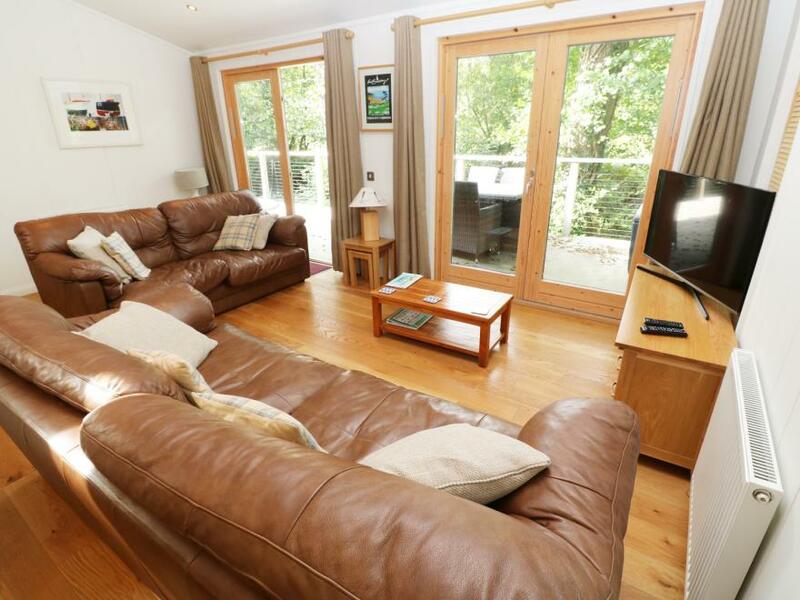 This lodge also benefits from its own private decked terrace, surrounded by trees and woodland. Why not step outside and enjoy a glass of wine on a sunny afternoon? You can even take a dip in your own private hot tub, perfect for unwinding after a busy day. Stonerush Lakes lodges is set in a secluded Cornish valley and is filled with stunning unspoilt nature and local wildlife.? 1 Streamside is a ground floor lodge based in Lanreath, Cornwall. The property opens up to an open-plan living room, fitted kitchen and dining area. There are two bedrooms; one double with an en suite shower room and WC, and one twin, with a separate family bathroom and WC. Outside has a decked, terrace area with furniture and a hot tub provided. There's an on-site pub/restaurant should you wish to have a night off from cooking a meal. Off road parking is available for one car. 1 Streamside is the perfect property for a peaceful and tranquil holiday. The Towans are situated within a secluded position on a stretch of the North Cornwall coastline, within a secure gated development offering extensive landscaped grounds amidst the open countryside. The Towans is within an easy walk of beautiful Constantine Bay and the world class Trevose Golf Club, while just a short drive away you’ll find some of Cornwall’s best attractions, including Padstow, Watergate Bay and The Eden Project. Internally, 1 The Towans is a light, spacious lodge with contemporary furnishings throughout. 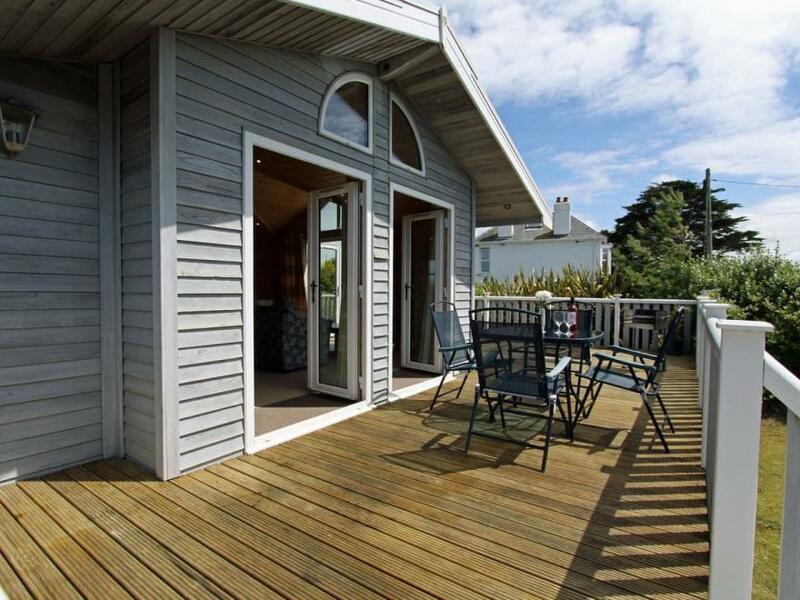 Externally, the dual aspect decking areas provides an ideal place to enjoy views over the countryside and relax after a day exploring the coastline. Some of the county's best beaches, including the hidden cove of Treyarnon, the long sweeping sands of Constantine Bay and unspoilt Harlyn are right on your doorstep. The famous, traditional fishing village of Padstow, with its unique shops, art galleries and restaurants, is just a few minutes away. Modern, New England-style lodge situated on the North Cornwall Coast, close to Constantine Bay.. 4 steps to entrance. Living area: With electric coal-effect fire, 23" Freeview TV, DVD player and French doors leading to decked area. Kitchen area: With electric oven, halogen hob, microwave, fridge/freezer, dishwasher and washer/dryer. Bedroom 1: With double bed, iPod dock, CD player and en-suite with shower cubicle and toilet. 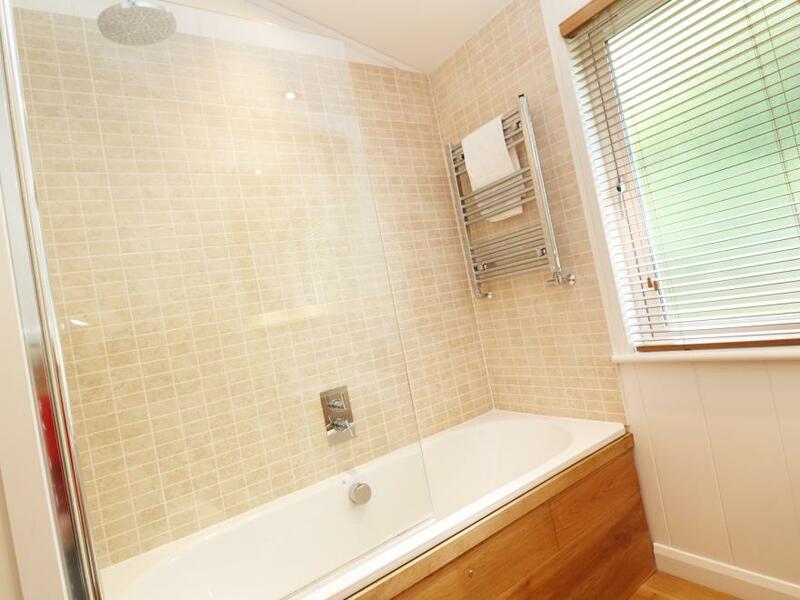 Bathroom: With shower over bath, toilet and heated towel rail.. Heating, electricity, bed linen, towels and Wi-Fi included. Decked area with garden furniture. Grounds (shared with other properties on-site). Allocated parking for 1 car. No smoking. . The Towans are situated within a secluded position on a stretch of the North Cornwall coastline, within a gated development offering extensive landscaped grounds amidst the open countryside. The Towans is within an easy walk of beautiful Constantine Bay and the world-class Trevose Golf Club, while just a short drive away you’ll find some of Cornwall’s best attractions, including Padstow, Watergate Bay and The Eden Project. Internally, 1 The Towans is a light, spacious lodge with contemporary furnishings throughout. 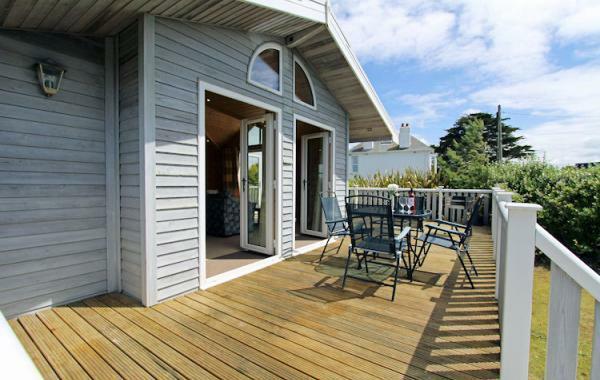 Externally, the dual-aspect decked areas provides an ideal place to enjoy views over the countryside and relax after a day exploring the coastline. 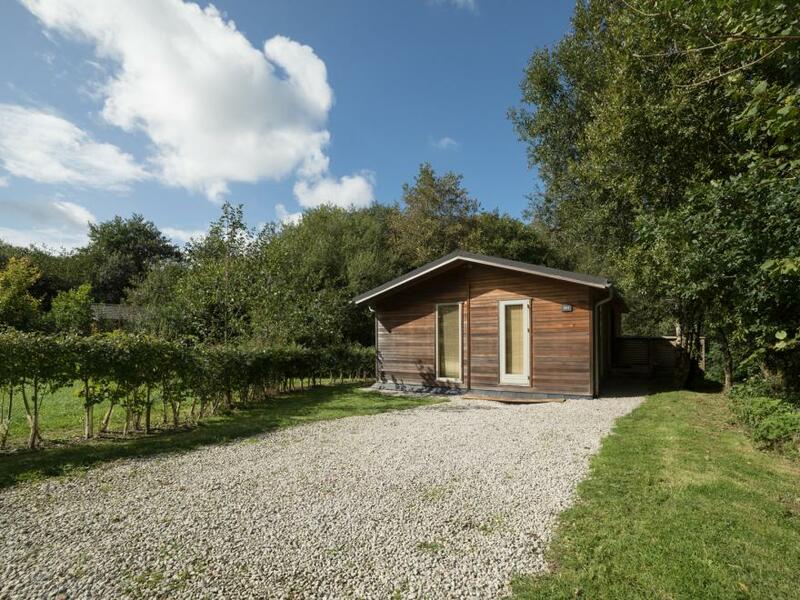 10 Horizon View is a wooden-clad log cabin situated in the village of Dobwalls in Cornwall. It plays host to two bedrooms which include a double with an en-suite, as well as a twin room, and along with a family bathroom, the property is able to sleep four people. Internally, also discover an open-plan living area which comprises a kitchen, a dining area and a sitting area. To the outside, find off-road parking for two cars as well as a decking with furniture and a hot tub. 10 Horizon View is a contemporary retreat for couples, friends and families alike to enjoy.